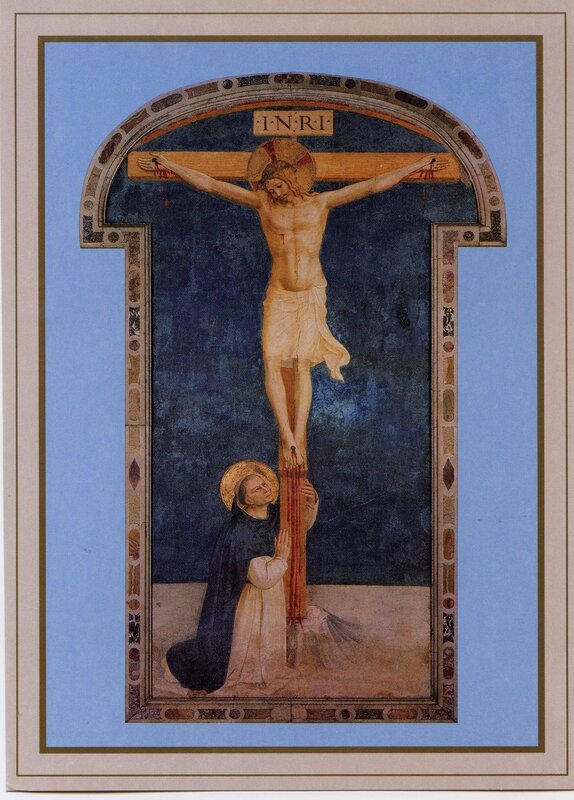 This is a detail of the famous Fra Angelic image of St. Dominic adoring the Crucifixion at San Marco, 1442 AD. It is printed on unlaminated card stock, with no text on the reverse, so it is perfect for writing a message for a loved one, or even sending as a post card. This catalog entry is for a twenty-five pack of these cards.